"Spotify on Sonos requires a Spotify Premium Account. Upgrade at..."
Is it true? Do I need a premium acct to play Spotify on Sonos now? -- Is there any way to stream Spotify on Sonos without upgrading to a "premium" Spotify account? 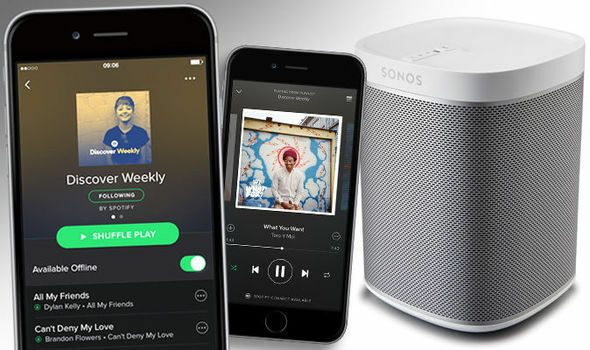 Spotify is an online music service giving users the ability to play music on-demand via wireless Sonos speaker set-up using Spotify's unique technology. You may also meet such a problem in playing Spotify music or playlist on Sonos. Our guide below will show you the concrete steps of how to stream Spotify music on Sonos with or without Premium account. Spotify and Sonos will allow access to all of your existing Spotify playlists and their entire catalogue in every corner of your home. The steps to get Sonos and Spotify Premium playing together are really easy and the process takes just a couple of minutes. 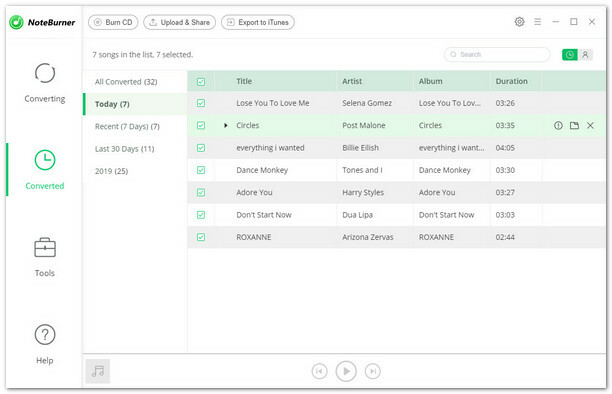 Note that you need a Spotify Premium account to do this, so unfortunately free users are out of luck. The following is the detailed steps. Step 1: Install and fire up the Sonos app on your phone, tablet or laptop. Step 2: Set up your Sonos speakers on your Wi-Fi, following the steps in the app. Step 4: Make sure your Sonos system and device using Spotify are on the same Wi-Fi network. Then fire up the Spotify app. Step 5: Play a song and tap on the button marked Devices Available beneath the playback bar. Step 6: Select a Sonos speaker and start listening. Since a Spotify Premium account is required to work on Sonos, Spotify free users need find another way to play Spotify music on sonos. It is well known that each of Spotify music are protected by DRM, only the paid users (Premium and Family users) can stream Spotify albums and playlists on Sonos. 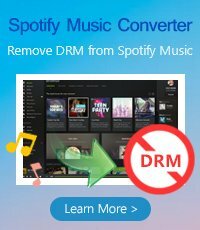 So if you are Spotify Free user and want to play Spotify music on your Sonos system, the best way is to convert Spotify music to plain format. 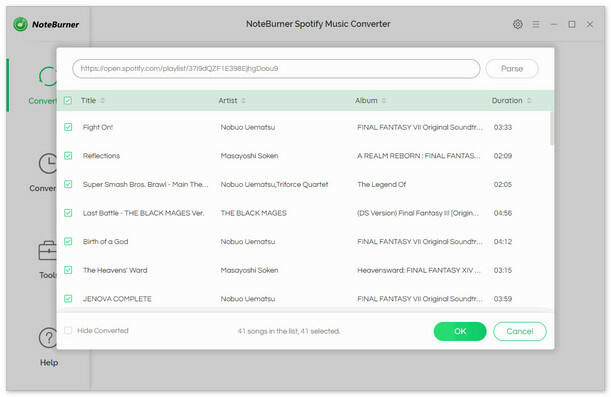 NoteBurner Spotify Music Converter is an excellent Spotify Music Downloader, which can help you remove DRM from Spotify music, download music from Spotify for free easily, and convert them to MP3, AAC, FLAC or WAV with 100% original quality. The following is a detailed tutorial about how to play Spotify music on Sonos for Spotify Free. Please download this useful tool on your computer first before getting started. When finish customization, click "Convert" button to start converting. 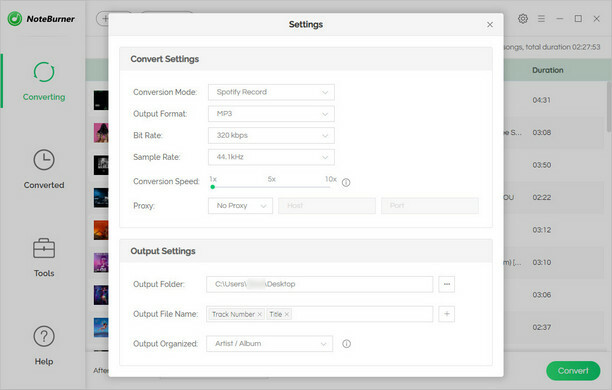 After conversion done, you can find the converted audios by clicking button. Please download and install Sonos app in your computer. Once installed, please launch the app, from the “Manage” menu, select “Music Library Settings”. Then click + (plus) on a Mac, or “Add” if you are using a PC. Then add the converted music to it. 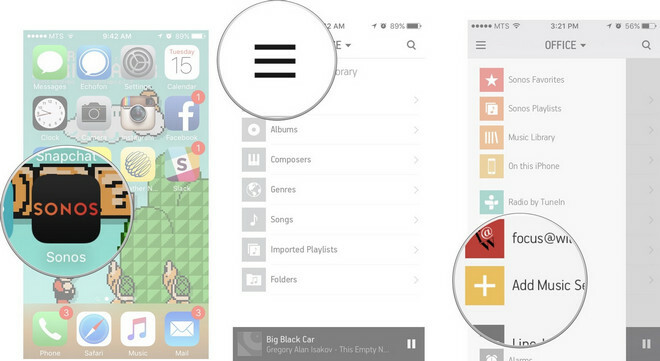 Depending on the size of your music library it may take up to 15 minutes to index. After that, you can play Spotify music on Sonos freely.